The world is made a better place with something so simple as a Thank you. This month we have been overwhelmed with many forms and gestures of Thank Yous and we would like to say thank you back to all our customers for support their local businesses and communities. We apricate it very much. 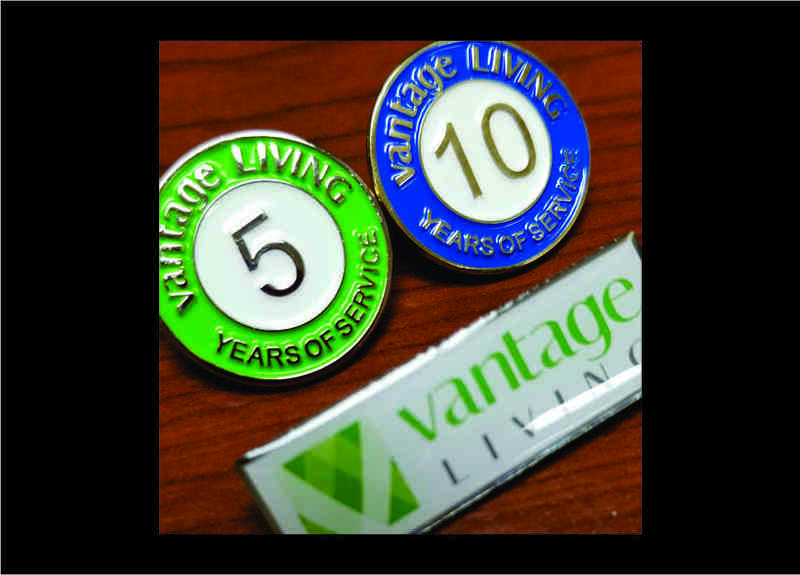 The picture on the left is of some lapel pins and name badges made for some very happy customers at Vantage Living. For more information on lapel pins or name badges click here or contact us directly.